I made these pjs on the too big side intentionally, but if I would have finished them in June, O would have probably been swallowed up in them. She's had 2 growth spurts since then. So win, win! They fit her ok now, but will still fit her next summer, YES! For the pjs, I used the FREE Summer Shorts pattern and tutorial by Cailamade. The pattern is for wovens, but I used knit and I think they turned out completely adorable. A little wide in the legs, since I didn't size it down and used knit, but like I said, I wanted them to fit through next summer too. :) I have these cut out in a woven too and can't wait to sew them up, the pattern is just so adorable! 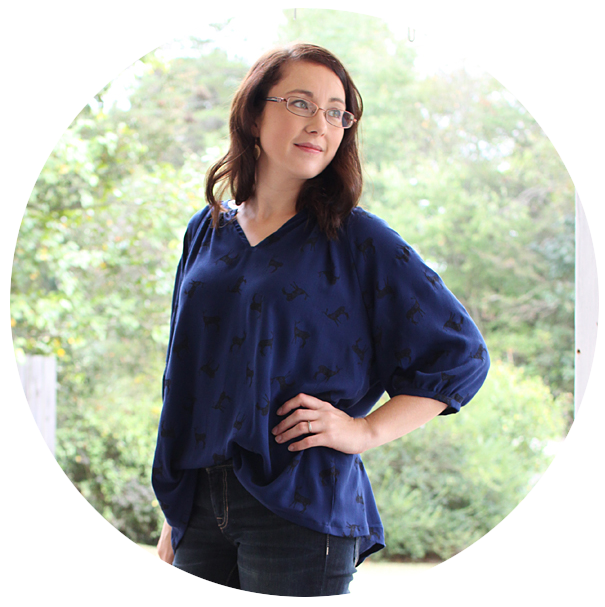 For the shirt, I'll be sharing the tutorial on how I hacked the Blank Tank pattern from Blank Slate Patterns. Sad. I'm going to start off this tutorial with an apology. When I cut this out back in June (ahem) I intended to do this tutorial but for some reason only took this one terribly lame photo of how I cut it out! So, please bear with me as I try to explain! The next little details, I don't have photos of. I'm so sorry, not sure where my brain was! Instead of the curve the pattern has at the hemline (as you can see in the photo above), I cut my fabric straight across where the curve started. Both front and back pieces. Cut 2 strips. 1-3"x21" & 1-3"x29". This will create an equally gathered ruffle in the front and back. Let's just pretend that's what I did, shall we? This is how the front 2 pieces look after you have them cut out. Now sew a gathering stitch in the front center of the bottom piece and gather it to match the top piece. Sew the 2 pieces together to create your front tank piece. Now hem the 2 ruffle strips. Word of advice. This knit was actually a baby ribbed knit. It was a smallish nightmare to work with. When creating narrow hems on knit, especially a very stretchy knit, use some sort of interfacing. It will make your life so much easier! I used a knit stay tape for this. Now gather the 2 strips to match the front and back tank pieces. Your longer strip will go with the front and the shorter strip with the back. Your front strip should be longer than mine shown in the photo below. Sew the ruffled strips to the front and back tank pieces. Looking cute, huh!? Now sew one of the shoulders together. I decided to bind the neck and armholes for some contrast. To make your binding: Cut a strip of ribbing 2" x width of your fabric, with the stretch going horizontal. Fold in half and press. Press using a generous amount of steam. Steam is your friend when working with knits. Unfold and press one side in to the center crease. Press the other side toward the crease as well. Now fold again along the center crease. Voila, ribbed binding! Pin and sew the ribbing to the neckline using a double needle. Since both of these knits were super stretchy, I took my time and used lots of pins and tried not to stretch anything as I was going. It's not perfect, but, I'm over it. Sew the remaining shoulder seam and pin and sew ribbing to the armholes. Sew up the side seams, and you're done!! It's a little hard to see the shorts in the photos where O is wearing them, so I wanted to make sure to show them clearly. They are just so stinkin' cute! And instead of hemming them I decided to bind them as well, to tie them together a little more. Yay, for super cute summery cupcakes and sprinkles PJs for the princess! Great for kicking up your feet. Taking oodles of Hello Kitty photos.